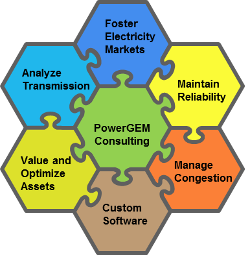 PowerGEM, LLC was founded in May 2000 to supply expert advice, analysis, and software on the combined economic and technical impacts of transmission congestion in competitive electricity markets. 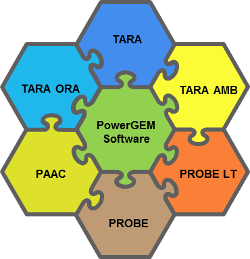 PowerGEM is staffed by engineers and software developers with advanced education in engineering, mathematics, computer science and business, coupled with an average 20 years of experience in this industry. The PowerGEM difference is our practical but innovative experience in the science of power grid engineering and the art of using this science to meet clients' goals. Just knowing the science and art, though, is not enough. Communications, enthusiasm, commitment, and a "can do" attitude are equally important hallmarks of PowerGEM services and products. We pride ourselves on our professionalism, abilities, and willingness to adopt your problem as our own. We welcome inquiries on how we may serve you.